Today, I am going to share with you one of my all-time favorite sweet treats...Empanadas. But these aren't just any ordinary empanadas; these are my very berry best Strawberry Empanadas! I make them all the time! They're like my signature empanada, with an irresistible flaky cream cheese crust. But before we get to the empanada recipe, let's talk about the filling...Homemade Strawberry Jam, made with fresh strawberries and a surprise ingredient...ground cinnamon. I think the ground cinnamon really enhances the flavor of the strawberries. 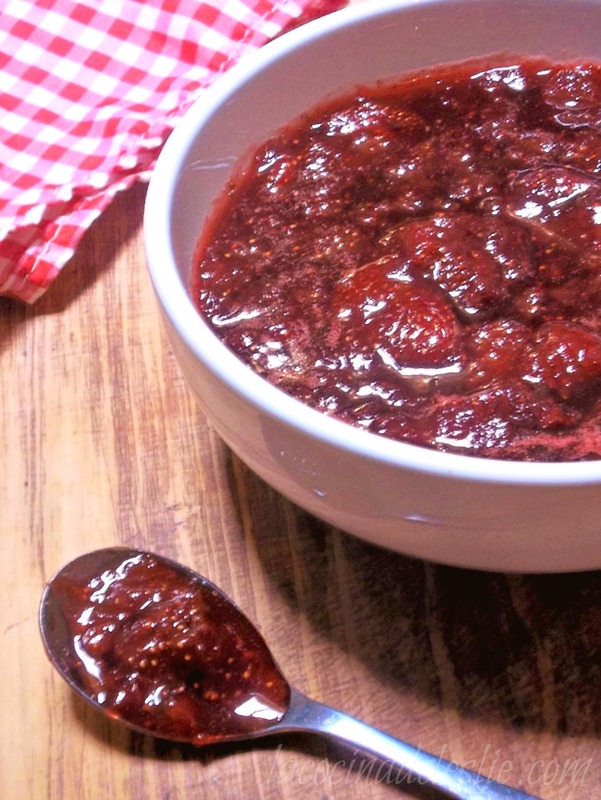 If you've never made your own jam, freaketh not! It's very simple. All you need is strawberries and sugar. (And a dash of my surprise ingredient!) This recipe yields enough for about 1 cup of jam, which is the perfect amount for making Strawberry Empanadas, so no complicated canning is necessary. Combine the strawberries, sugar and ground cinnamon in a medium saucepan. Cook over medium-low heat just until the sugar begins to melt. Reduce heat to low and simmer the jam for about 15 minutes, stirring occasionally, until slightly thickened. Cool slightly and pour into a heatproof bowl or measuring cup; cool completely. 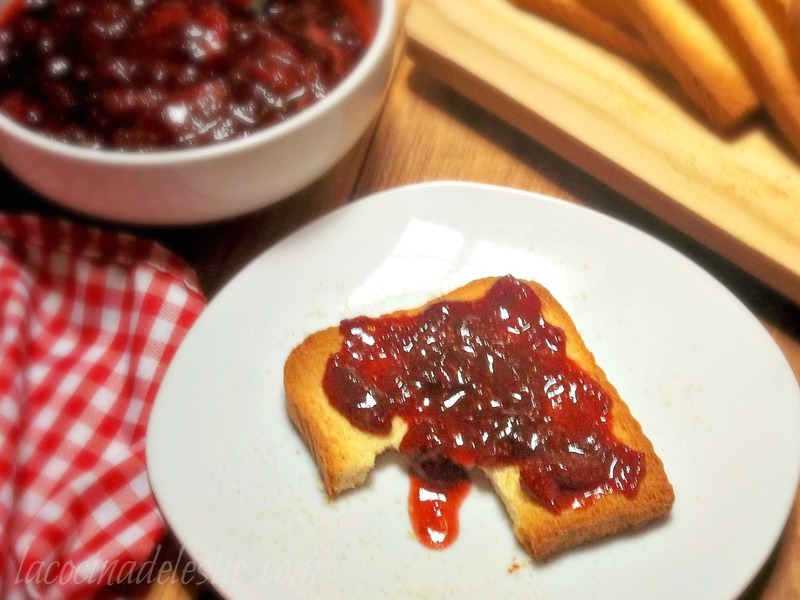 Spread on toast, use as part of a peanut butter and jelly sandwich, or use as a filling for the Strawberry Empanada recipe below. Enjoy!!! My Hubby and kiddies think they're the greatest thing since sliced bread. Sweet homemade strawberry jam wrapped inside tender, flaky crust made with tart and tangy cream cheese...goodness gracious! Strawberries & Cream Cheese are one of those flavor combinations that are a match made in Heaven. And these Strawberry Empanadas are just heavenly! But don't take my word for it. These Strawberry Empanadas are so easy to put together, making them just that more divine. Place the flour, cream cheese and butter in a medium bowl. Using a pastry blender, potato masher or your hands, cut the cream cheese and butter into the flour until no large pieces are visible. Continue combining the ingredients with your hands until the dough forms a ball. (This can be done in a food processor as well.) Cover the dough with plastic wrap and refrigerate for an hour. Roll out dough on a lightly floured surface to 1/4-inch thickness. Cut out circles of dough using a 3 or 4-inch round cutter. Or one of these handy-dandy empanada makers! Spoon a scant teaspoon of strawberry jam in center of each circle. If you have the empanada makers, just fold it in half to seal. Place empanadas on a lightly greased baking pan. Bake in a preheated 350ºF oven for 15 minutes. While the empanadas are baking, place the 1/2 cup of sugar in a medium bowl. When the empanadas are done baking, gently coat both sides with sugar. mmm, those look delicious, I bet they taste really good warm! Wow...looks beautiful. Great for my afternoon tea or for parties. They look yummy! Can't wait to try! yummm gonna have to try these soon. i like to take things that are sweet and make them savory. Here you have gone in the other direction. Great Job! MO: These are so yummy right out of the oven. P.L.B: Thank you so much for stopping by. i'm thinking i might surprise him tomorrow with them! Love the jam and the empanadas. I have a giveaway at my blog. Do participate. Stopping by from SITS! These look wonderful- and your directions are fantastic- clear, easy to follow. I'm trying these this weekend! Oh my goodness yum! I need an empanada maker! You are good! Your step-by-step dirrections and pictures really inspire me! I am NOT a cook, but every time I try something new, hubby is very happy! Can't wait to try this on my day off! These are on my to-do list now. What can be better than sweet empanadas for a family with a sweet tooth???!!! tengo que ir a tu casa para probar tus recetas se miran muy buenas. Leslie, you are killing me here! I can't stop looking through all your recipes. My "bookmarks" are probably half of your recipes so I can remember to make them. These look so simple and YUMMY! And, where the heck did you find the empanada maker?! I LOVE having all kinds of kitchen gadgets. My husband makes fun of me but he sure does like what those kitchen gadgets produce. I need a trip to the grocery store so I can start cooking. Hi Leslie your recipes look fantasic. I can't wait to make these strawberry empanadas. I was wondering if you can please give us an empanada dough recipe for savory fillings. My family loves empanadas. We love sweet and savory especially. Thank you so much. I can't wait to make these empanadas, time consuming but so worth it. I will be filling with PUMPKIN...SO YUMMY, just ontime for the HARVEST THANKSGIVING festive! Couldn't you add some powered cinnamon also ?? ?